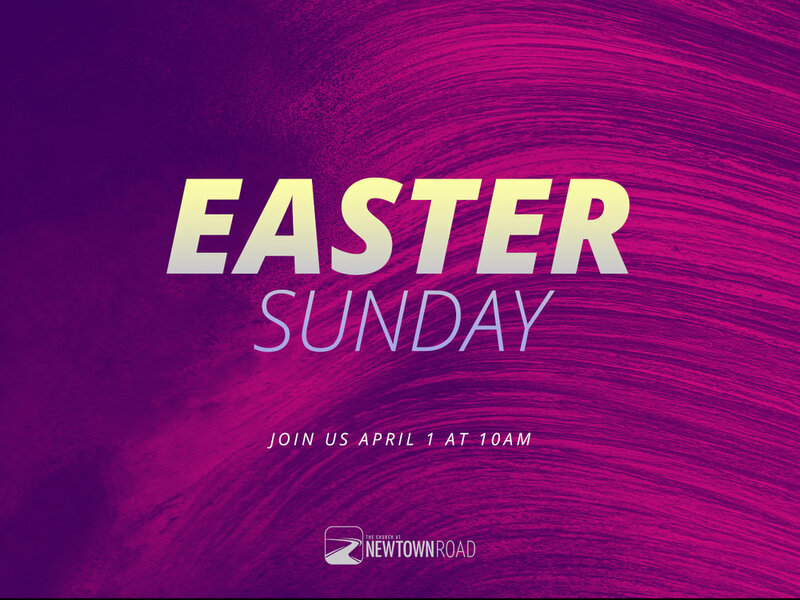 Join us this Easter Season at Newtown Road! We're so excited to have you join us this Easter season. Our service on Good Friday, March 30th, takes place at 7pm. Our service on Easter Sunday, April 1st, takes place at 10am. Each of these services provide childcare (through 36 months) from our screened children's and nursery workers. If it will be your first time visiting with us, be sure to stop at the table in the back of our sanctuary and pick up a free gift. Invite your friends and family to join us! Use our Facebook temporary profile overlay to invite your friends, family, co-workers, and neighbors to join us this Easter season!